"It looks like a fairly straightforward formula for success – give it a good biff off the tee and find your touch on the greens. It’s yet another event where power and putting will decide the outcome and it’s basically just a birdie-fest." The DP World Tour Championship was first staged in 2009, when the European Tour replicated the PGA Tour's FedEx Cup with its own version called the Race to Dubai. The DP World Tour Championship is the eighth and final event of the Rolex Series and it determines who wins the R2D. It's a limited field event for the top-60 in the standings. Lee Westwood won the inaugural staging and in doing so he won the R2D, having trailed Rory McIlroy in the season long race before the off, but for the next five years the R2D was all sewn up before this tournament began so changes had to be made. Seven players were in with a chance before the off three years ago, four could still win it in 2016, only three were in the running last year and it's just about a done deal this time around, with Open Champion, Francesco Molinari, looking hard to catch. Tommy Fleetwood is the only man capable of catching his close friend but he needs things to go his way. A finish of solo second or better will guarantee Molinari wins the R2D but Fleetwood needs a victory, with Molinari finishing worse than a tie for fifth with one other player. It looks like we're in need of another rethink - especially when the world number one, Justin Rose, who's currently third in the rankings isn't even turning up! So far, four of the nine winners of this tournament also won the Race to Dubai. The Earth Course, Jumeirah Golf Estates, Dubai, UAE. The Greg Norman designed Earth Course has been the event's venue since its inception. It's a long typical desert track with generous fairways and 99 bunkers. The Tifeagle Bermuda grass greens are large and undulating, with a lot of run-off areas, and they will be set to run at 12 on the stimpmeter. Water is in-play on the 6th, 14th and last three holes. It's a stunning finish that has the potential to produce much drama. The par three 17th has an island green and the par five 18th, with water in play twice if you go for the green and three times if you lay-up, is an intriguing hole, where scores can vary greatly, although players appear to have worked it out now. It was the easiest hole on the course 12 months ago - averaging 4.71. Live on Sky Sports all four days, starting at 07:00 UK time for the first three days and 06:30 on Sunday. What Will it Take to Win the DP World Tour Championship? Nobody hit it further off the tee than the winner, Jon Rahm, 12 months ago and length is a huge advantage here. The Earth Course is long and the fairways are generous so it's no surprise to see that the 2016 victor, Matthew Fitzpatrick, is the only winner to rank outside the top-eight for Driving Distance but he wasn't that short - ranking 16th for DD. Fitzpatrick ranked second for Driving Accuracy but that's a largely irrelevant stat. Rahm ranked 21st and Rory McIlroy only ranked tied for 36th for DA three years ago. And when Alvaro Quiros won here in 2011, he ranked 55th for D.A. And remember, there were only 60 in the line-up! As many as five of the nine winners have ranked inside the top-four for Greens In Regulation but Rahm only ranked 26th, McIlroy only ranked tied 25th for GIR when he first won the tournament in 2012, and Fitzpatrick only ranked 21st two years ago so that can't be described as a really key stat. The 2014 renewal produced some very strange putting stats (see below) but that very much looks like a one-off given Stenson's Putting Average ranking was 16th and every other winner's ranking has been eighth or better. The first three home in 2016 had a PA ranking for the week of second, fourth and fifth and they ranked tied third, first and tied third for Putts Per Round and it was a very similar story 12 months ago, with the first three home having a PA ranking of third, second and sixth and a PPR ranking of second, first and eighth. It looks like a fairly straightforward formula for success - give it a good biff off the tee and find your touch on the greens. It's yet another event where power and putting will decide the outcome and it's basically just a birdie-fest. Is There an Angle In? Anyone that plays desert golf well has to be respected. Rahm had form in the States in the desert before the off last year (he finished fifth in Phoenix in his second start on the PGA Tour) and he followed victory here with success in the CareerBuilder Challenge in the Californian desert but the two events to really concentrate on are two that the defending champ has never played in - the Dubai Desert Classic and the Qatar Masters. Three of the six players to have won this event in its very short history - Stenson (twice), McIlroy (twice) and Alvaro Quiros - have all won the Dubai Desert Classic and the 2012 DDC winner, Rafael Cabrera-Bello, traded at just [1.48] in this event four years ago before throwing the tournament away at the 16th hole. Cabrera-Bello and the 2015 runner-up here, Andy Sullivan, both finished tied for second at the DDC in the February of 2015. In addition to winning this title, Robert Karlsson, Stenson and Quiros have also won in Qatar, and last week's winner, Lee Westwood, should arguably have won at all three venues. The inaugural winner of this tournament has been in contention numerous times in Qatar and he's twice finished runner-up at the DDC. The same can be said of the infuriating-to-follow, Cabrera-Bello, who was also runner-up in Qatar two years ago. Is There an Identikit Winner? We're unlikely to see an outsider win this week. All nine winners so far were in form and Stenson, four years ago, is the only winner not to have won an event somewhere earlier in the season. All the winners have been top-class players and up until 2016, when Fitzpatrick won having been matched at a triple-figure price before the off, the 2011 winner, Quiros, who was matched at odds of [44.0], had been, by some distance, the biggest priced winner of the event. Rahm was generally a [13.0] shot 12 months ago and Rory and Stenson, who have both won the event twice in the last six years, were trading at single-figure prices in each of the two years in which they won so the tournament has a history of going to the fancied players. This is the eighth and final Rolex Series event of the season so as I always do, I thought I'd provide the updated list of previous Rolex events winners over the last two seasons - since it' inception. As you can see, Brandon Stone is still the only winner that one wouldn't immediately declare as top-class. Although as previously mentioned, in time he may well be. The last two winners, Rahm and Fitzpatrick, have both began the event with opening 69s. Rahm sat four off the lead and tied for 16th and that's the furthest any winner has trailed by after the opening round. Fitzpatrick sat tied for seventh and only three off the lead and prior to last year, that was the furthest any winner had trailed by after the opening day's play so this is most certainly a front-runner's track. The first seven winners all opened up with a round of 68 or better and all seven were inside the top-six places after day one. Rahm and Fitzpatrick both still trailed by three at halfway and those two, Rory (in 2015), and Robert Karlsson, who beat Ian Poulter in a play-off in 2010, are the only winners not to be in front after rounds two and three. The other five winners were all never headed after 36 holes. Bizarrely, Karlsson is the only first round leader to go on to win. 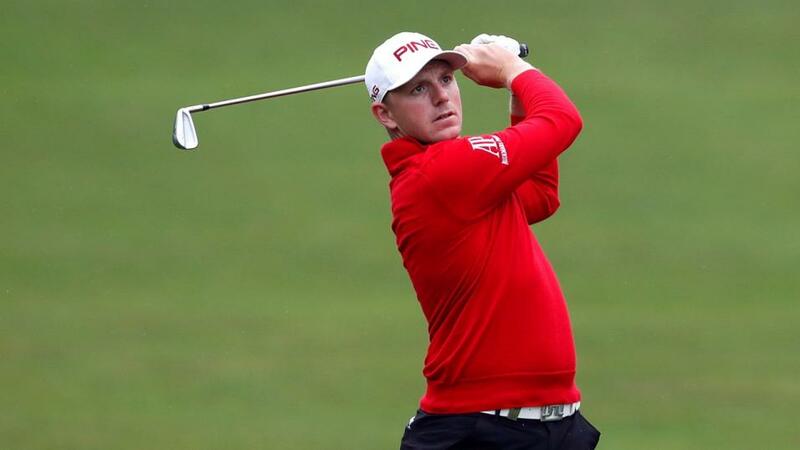 He'd dropped back after a second round 75 before rallying with back-to-back 67s over the weekend to catch Poults. As they've done in each of the last two weeks on the European Tour, the field will go out in reverse order after round one this week and that might go some way to explaining why the leaders are so hard to catch. When interviewed by Sky after round two - two years ago, Andy Sullivan talked about how much warmer it was in the afternoons here and how he couldn't reach the second green in two in the morning but that the latter starters would get there easily. Maybe the leaders' getting more favourable conditions is one of the reasons why it's hard to play catch-up? Tyrrell Hatton was matched at odds-on on five separate occasions during round four and he hit a low of [1.13] when he made a miraculous par save at the 17th hole but with the event at his mercy, he drove in to the water on the 18th and Fitzpatrick made birdie there to pip him by one. Last year's event wasn't anywhere near as exciting but we still witnessed someone trading at long odds-on before getting beat. Justin Rose was matched at just [1.43] before he lost his way badly on the back-nine to finish tied fourth. Two-time tournament winner, Rory McIlroy, is the correct and highly-respected favourite. He loves the track and he's never finished worse than 11th here from eight starts. He even finished ninth two years ago (his last appearance) having opened up with a 75! His chance is obvious but whether he's quite playing well enough to chance is debatable. Rory is putting much better than he was earlier in the season but it's still an issue for me and it's also worth noting that he's won just once (at the Arnold Palmer Invitational in March) in the last two years. The defending champ, Jon Rahm, has gazumped Sergio Garcia for second favouritism but neither make much appeal. Rahm is no bigger than he was 12 months ago but he isn't playing as well and he also has the pressure of defending, while I suspect last week's disappointing finish to the Nedbank may leave a mark on Sergio. The Spaniard has a mixed portfolio here with figures reading 7-21-11-9-12-19-4. China's Haotong Li is far from a huge price but I still thought he was worth chancing modestly at [23.0]. This year's Dubai Desert Classic winner (chased down Rory over the weekend) is playing some sensational golf at present and if he can just hold his form for one more week, he looks almost certain to contend. Giving the strong in-play trends, and how vital a quick start is here, I'm keeping most of my powder dry before the off but I've also backed Matt Wallace at [55.0]. The Englishman is seeking his fifth European Tour title in 19 months and his fourth since March! That price is just too big to ignore given his top-five finish last week at the Nedbank. I'll be back later today with my RSM Classic preview. The Punter's In-Play Blog: Kuchar kicks clear but is Aaron the wise wager?